Skin issues are one of the most common reasons for your dog to visit the veterinarian. 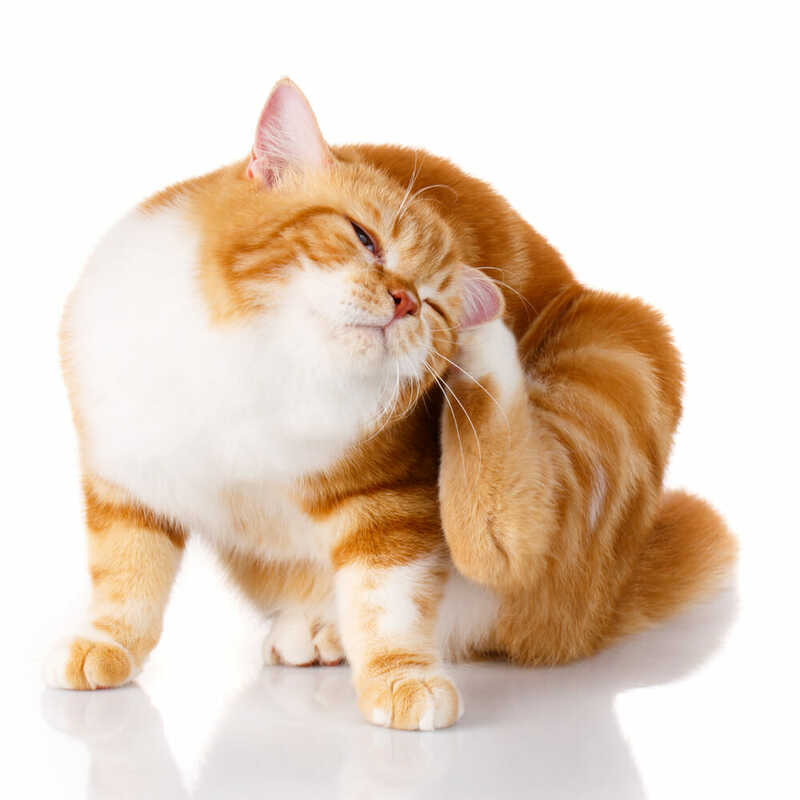 There are numerous concerns that you may have: itchiness, loss of fur, scabbing or crusting to name a few. There are just as many reasons why your dog may have these signs. Hypothyroidism, Cushing’s disease, and allergic skin disease are all possible reasons why your canine friend may be experiencing problems with their skin. It is best to make an appointment with your veterinarian, so you may take a team approach to solve your dog’s dermatological problems. 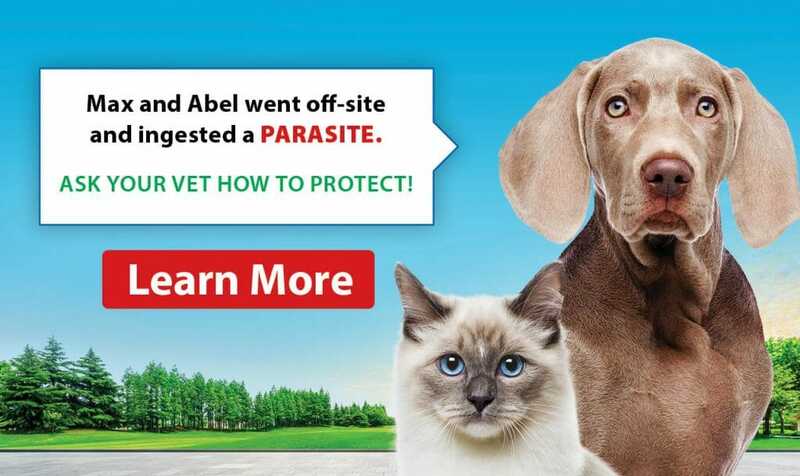 This will involve a thorough history taking of your pet’s behaviours and concerns, a detailed physical exam of all of their skin (not just the affected areas), and may include, but not limited to, simple diagnostic testing like skin scraping or acetate tape preparations. Bacterial infections can have underlying causes, be due to allergies or other internal diseases. Your pet may be itchy, experience fur loss, smell malodorous, have red skin or even open wounds. Sometimes experience alone may diagnose this however sometimes skin biopsies, skin swabs or more commonly ear swabs may be necessary to confirm the diagnosis. Although ringworm sounds like it should be a parasite, in reality, it is caused by a fungus. A fungal infection may affect not only the skin but the hair and nail beds as well. Ringworm is infectious to other animals as well as humans. Your pet may experience itchy skin, hair loss and it may be full of “flakes”. There may also be red raised circular lesions. Depending on the symptoms, your veterinarian may prescribe an antifungal medication. Allergic skin disease can be caused by a variety of reasons. Environmental allergens such as certain pollens and grasses are common causes as are food allergens. In order to find out the cause, food trials, allergy testing, and medications may be recommended. Those eight-legged little monsters known as sarcoptic or demodectic mange can cause havoc. Sarcoptic mange or scabies, a mite that burrows into the skin, is a highly contagious skin disease. Scabies can cause intense itchiness, skin rashes and hair loss. Demodectic mange is a mite that likes to live in the oil glands and hair follicles, therefore, a common symptom is hair loss in these pets. Treatment includes medication and shampoos to kill the mites.